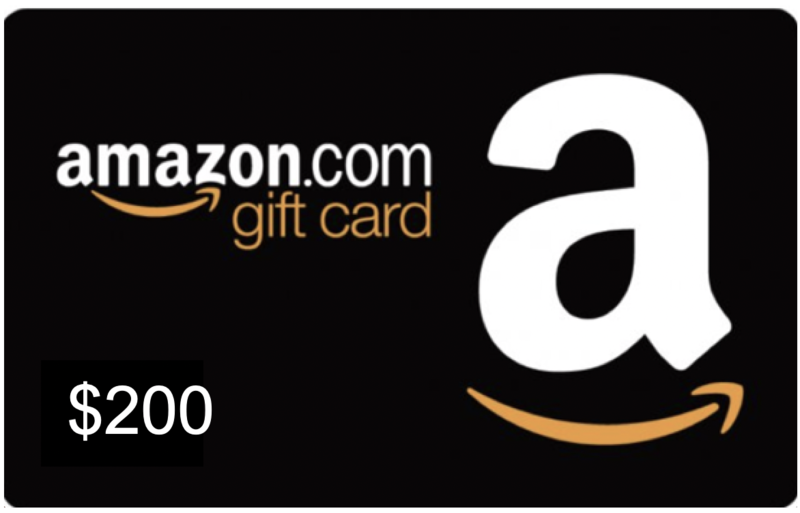 Sign up for a demo to the right to learn how Curve can help you grow your practice, and you'll receive a $20 Amazon gift afterward. If you end up signing with Curve *within 6 months* we'll send you another $200! Curve Hero is 100% cloud-based and is backed by Amazon Web Services, a robust data center with best-in-class protection, efficiency and fail-safes. Access your patient information from anywhere with an internet connection. Curve is the only practice management software that requires ZERO downtime. Curve stays live with you in the background during implementation, and you can easily access your old software for up to 90 days, plenty of time to feel confident in the switch. You don’t have to close your office, no one needs to log off and backups aren’t needed. Our platform is simple and intuitive enough for temps and new hires to use without training. If you get stuck or require assistance, Curve offers 24/7 help, entirely dedicated to Curve Hero. You will talk to a real, capable person — in under a minute — when you call Curve support. How many times has your server gone down, and what impact did it have on your patients, staff and overall business? Even if you haven’t experience this, check out our blog post on the Total Cost of Managing Your Own Servers. If you or your staff had a problem with your software, how long did it take customer support to answer the phone let alone fix it? Learn more about the World Class Customer Service Curve offers. Do you have a good disaster recovery plan? Are you sure it's being executed on? Disasters can’t be predicted, but they can be planned for - read our blog on Natural Disasters and the Impact on Your Practice. Our customers love that Curve dental software is 100% cloud-based, which allows them to access patient data from anywhere at any time. Our intuitive user interface makes it easy to learn and even easier for the entire office to use. Our customer service team is the best in the industry — we are available 24/7 and answer your call in less than a minute. Capture digital images directly to Curve Hero with almost any sensor, pan or camera. 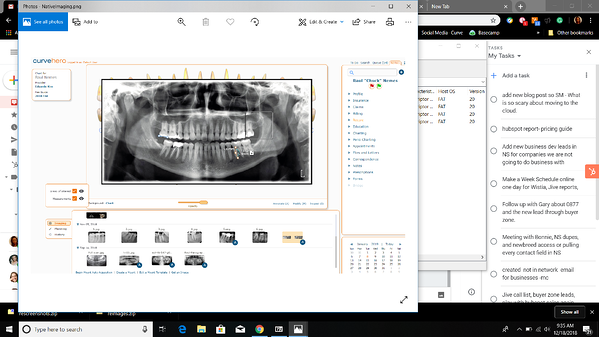 Our dental imaging features are native to the rest of the management system — no bridges or tricky integrations. Better security and hassle-free storage: Your images are backed up to multiple servers in multiple locations every hour of every day. And storage space is our worry, not yours. Access your images anywhere, any time: Whether you’re at home or away from the office, you’ll always have access to your patients’ digital images. Pre-set image manipulations: Record and save preferred manipulations and filters so you can quickly apply them to any images with a click of the mouse. Easily adjust contrast, brightness, gamma, rotate, sharpen and invert. We know you and your team spend a lot of your time charting in your dental software. Consequently, one of our biggest priorities has been making charting as simple and efficient as possible. 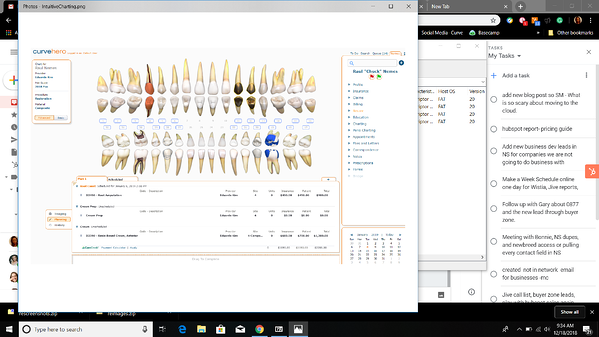 Faster charting: The chart is designed so that restorations can be painted right on the tooth using the mouse, which means you can chart a multiple-surface restoration, like an MOD, in seconds. Streamlined workflow:The chart is designed to function how the dentist or clinician does things because the chart is primarily used by a clinician. Simple treatment planning:Flexibility is the key word when describing the chart. You can create multiple treatment plans and drag them around in whichever order you wish. 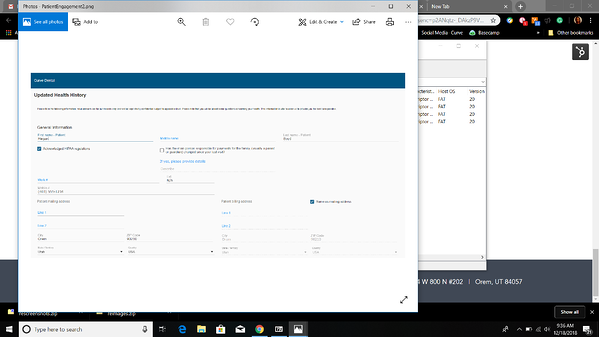 Curve Connex, our patient engagement module, is a suite of features that will help you stay in touch with your patients even when the office is closed. Decrease no-shows with automated appointment reminders: Automatically send appointment reminders via email and/or text message. You decide when to send reminders and how. Get better patient information with online forms and custom fields: A busy front desk team has more important tasks than entering data from a paper form or PDF file. Our online patient forms make it easy to capture patient information and preferences. Deliver a better online patient experience: When your patients have anytime access to their online portal, they’re more likely to stay up-to-date on their payments, watch educational videos and feel more connected to your practice. To better serve our customers, Curve Dental has partnered with the best organizations to ensure seamless third party integrations. Your integrations live in the cloud, streamlining your work and enabling you and your staff to work remotely.